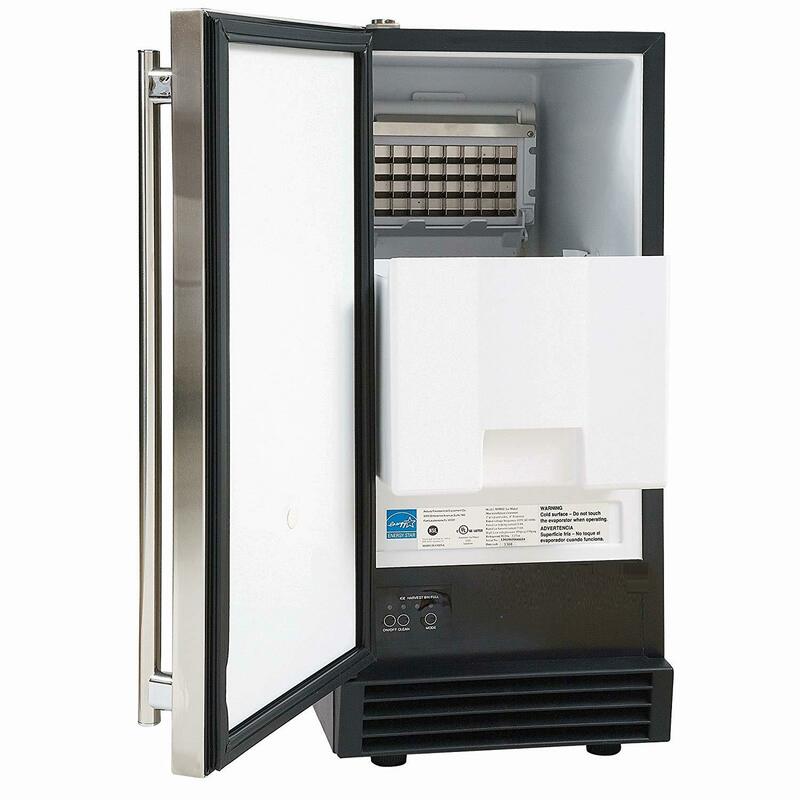 If you need a high-capacity gourmet ice maker, then this undercounter model by Chef's Exclusive is one of the best. Producing up to 60lbs of crystal-clear ice per day, it’s perfect for large homes as well as small commercial establishments like bars, restaurants, and venues. At home, it’s a great addition to ​your kitchen, game room, home bar or basement. It’s also rated for outdoor use but only in a covered place like the patio. 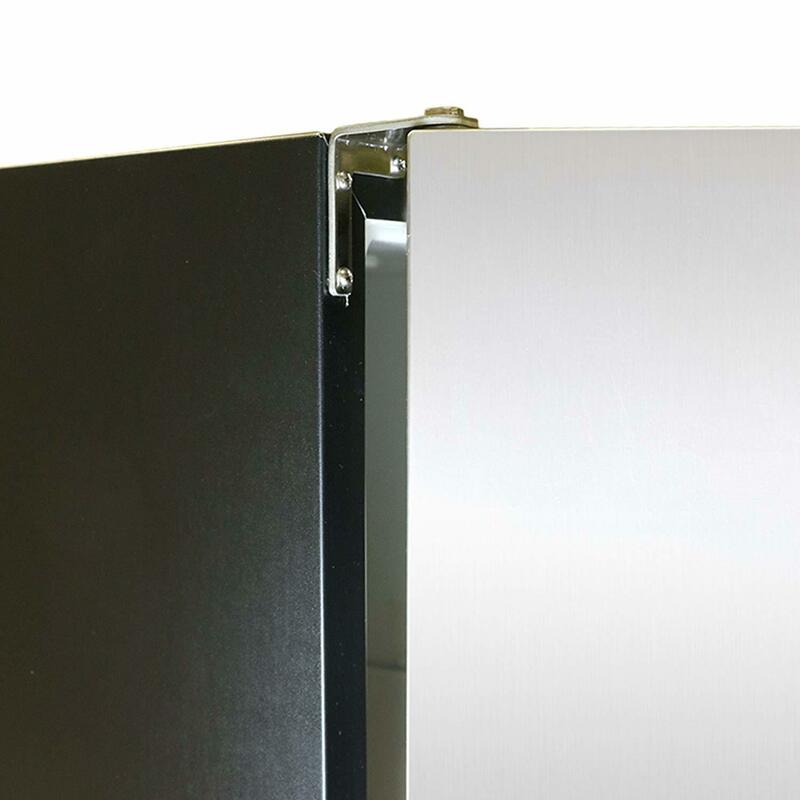 The Chef's Exclusive is sleek and modern with a reversible door to give you more flexibility in installation. Keep reading this page for my complete in-depth review. To compare this Chef’s Exclusive gourmet ice maker against other leading gourmet ice machines, read my buying guide for the best clear ice making machines. This is one of the largest-capacity gourmet ice makers you can buy for home use. Only a couple of clear ice makers like the Scotsman Prodigy (84 lbs) and Scotsman CU50GA-1A (65 lbs) surpass it in terms of capacity. This makes it an excellent choice if you use a lot of clear ice at home. It’s also large enough for commercial use in restaurants, entertainment centers, and bars. The combination of the 60 lb daily capacity with a 25 lb ice storage bin means you’ll always have enough ice on hand no matter the situation. You’ll love it if you love hosting large parties. I love the design of this ice maker. 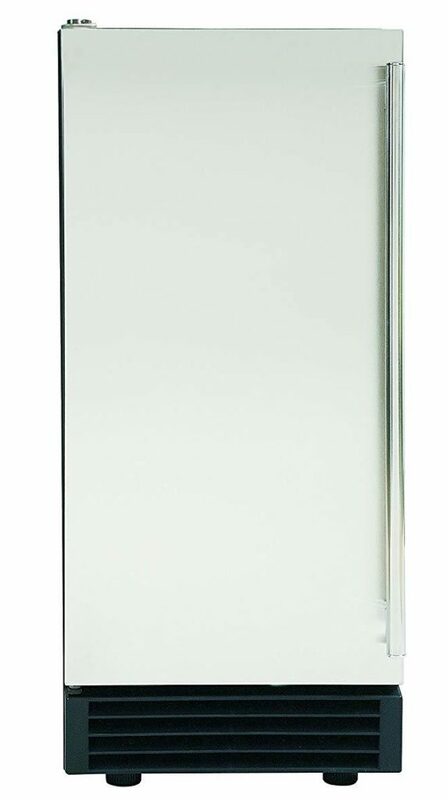 The long elegant handle and stainless steel door gives it a sleek modern look that looks amazing in any space be it your home bar or office kitchen. Note that this is an Energy Star appliance meaning it is very energy efficient. It won’t add much to your electric bills. 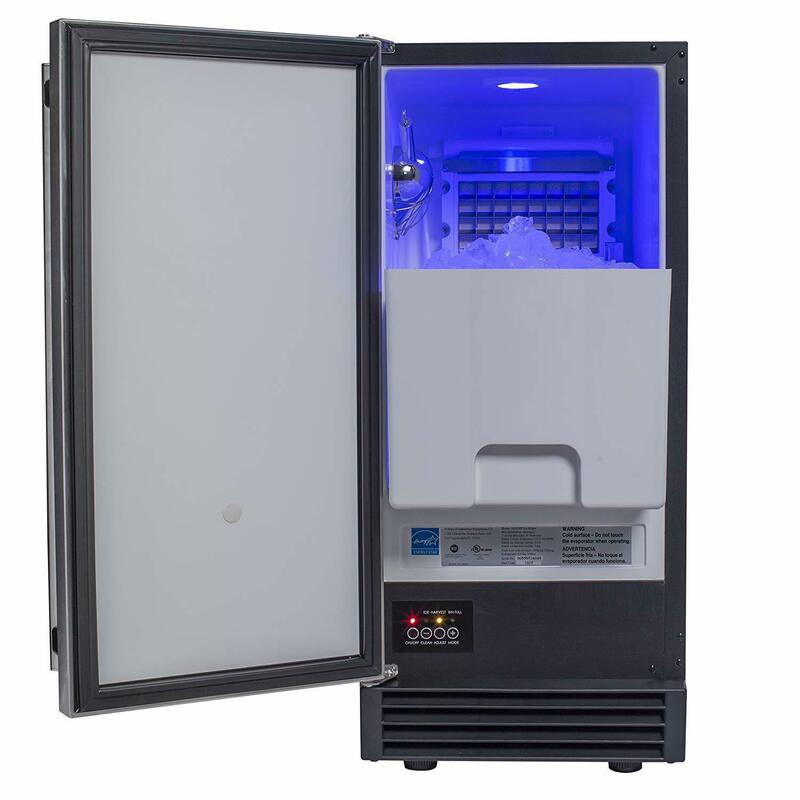 The Chef's Exclusive ice maker is more than capable when it comes to producing ice. As I’ve mentioned, it can produce 60 lbs of high-quality gourmet ice cubes every 24 hours. Just make sure there is clean water always flowing into the machine. The ice cubes are stored in a large 25 lb bin that slides out easily when you need ice. If you don’t want to remove the entire bin, you can also use the included scoop to collect just the amount you need. I love that the scoop is stainless steel and not one of those flimsy plastic ones that most ice makers come with. There is a scoop holder inside the ice maker to keep it is within easy reach. The ice maker will start dropping ice into the bin within a few minutes of turning it on. It will keep adding more ice until the bin fills up. When the bin is full, a sensor stops the ice-making mechanism to prevent an overflow. So you can leave the ice maker on all the time without worrying that you’ll come back to a mess. As soon as you empty the bin just a little, it will automatically start making more ice. This ice maker produces clear gourmet ice. This is the same type of ice you get at bars and restaurants. It is almost transparent without any of the cloudiness you see in normal ice cubes from your freezer. The ice is not just different in appearance. It’s also harder and denser. It melts much slower than other ice cubes. This makes it perfect for drinks that you don’t want to be diluted too quickly. 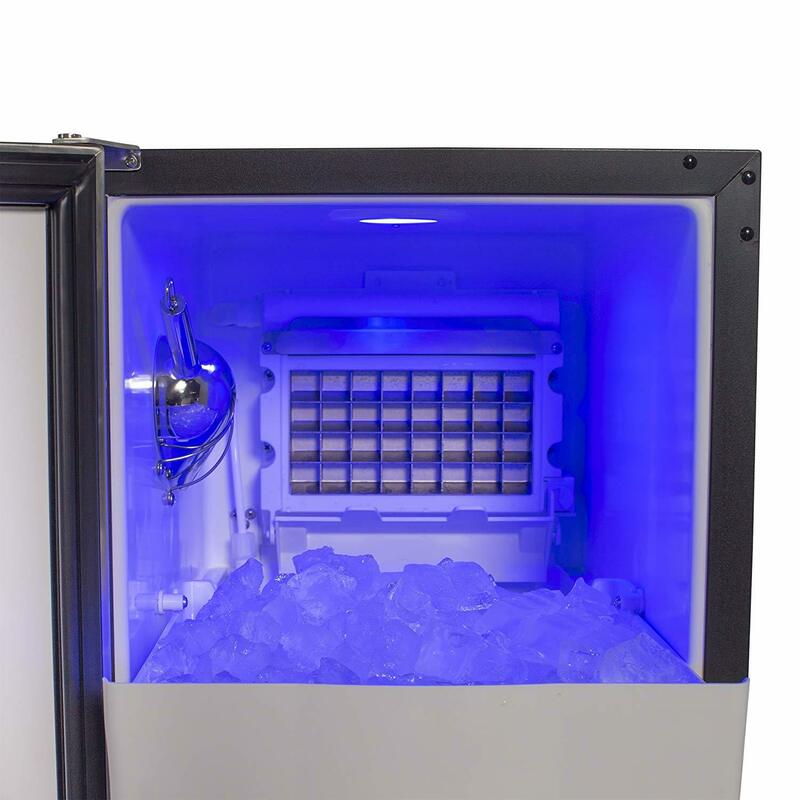 The Chef’s Exclusive ice maker produces only one size of ice cubes measuring about 3/4" x 3/4" x 1". To ensure the ice doesn’t have a strange smell or taste, make sure you regularly clean the ice maker as directed in the user manual. Also: always supply this unit with clean, filtered water. I highly recommend adding an inline filter to your water line when installing the ice maker. 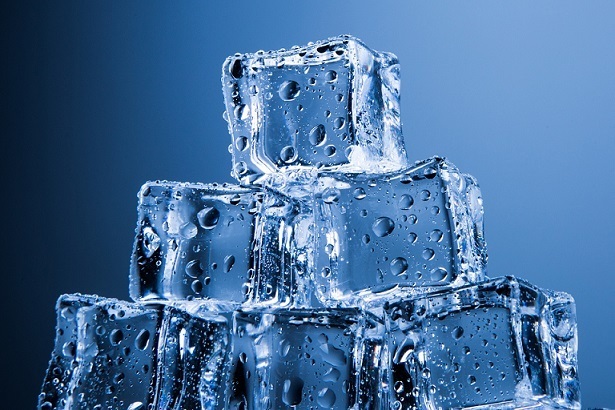 Avoid hard water as it can lower ice quality and reduce the ice maker’s lifespan. Despite its capacity, the Chef’s Exclusive ice maker is super easy to use. Installation is fairly simple. You can opt to install it undercounter or leave it freestanding. Take note of the dimensions if you decide to go with the first option. But it should fit easily in most undercounter spaces. It has a standard width of 14.6” and a height of 23.4”. All you need to do is connect the water line and set up the drainage. If your drain line opening is lower than the drain plug on this unit, just use the normal gravity drain hose. 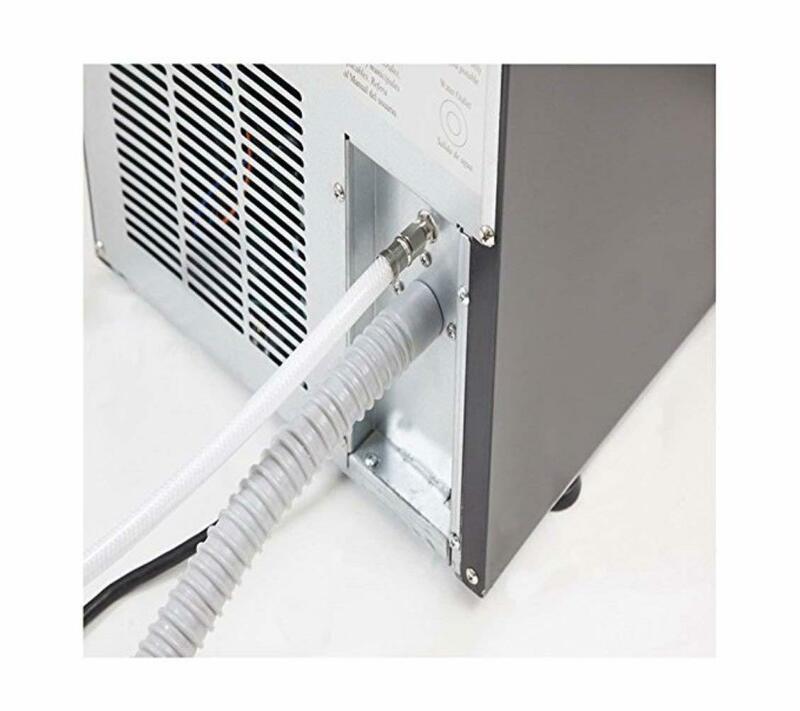 If your drain opening is higher than the plug (say, in your basement bar), then use the included drain pump. So no need to buy it separately. Another convenient feature is the reversible door field. You can set it up to open from the left or right. An interior blue LED light comes on as soon as you open the door, providing convenient illumination when you are collecting the ice. Chef's Exclusive ice makers are available in many restaurant supply stores and on major retail sites like Amazon.com. If you don't want to spend time shopping at your local commercial supply store, you can also find this appliance online at Amazon.com. The prices are often lower there, as well. If you ever need to supply groups of more than 4-6 people with clear or gourmet ice, then definitely consider buying this Chef’s Exclusive ice maker. I also highly recommend it if you are looking for a high-quality lower-capacity commercial gourmet ice maker. If this unit is not big enough for your needs, then check out the Scotsman Prodigy which can make up to 84 lbs of clear/gourmet ice per day. There also plenty of smaller options if you don’t need that much ice. 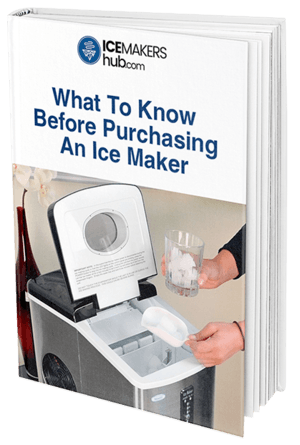 See our clear ice maker buying guide for my best recommendations. This ice machine definitely costs more than your average ice maker, but the Chef’s Exclusive undercounter gourmet ice machine is one of the best in its class.